FULL VIEW PLEASE! THUMBNAIL LOOK CRAP! Another one finish! 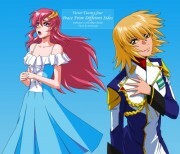 >_< And yet another Lacus (with Kira) in it! Sorry 'bout that.. I just realize that I've chosen a lot of Lacus pic to vector, but never finish/start them! And I still had another 2 Lacus to vector... 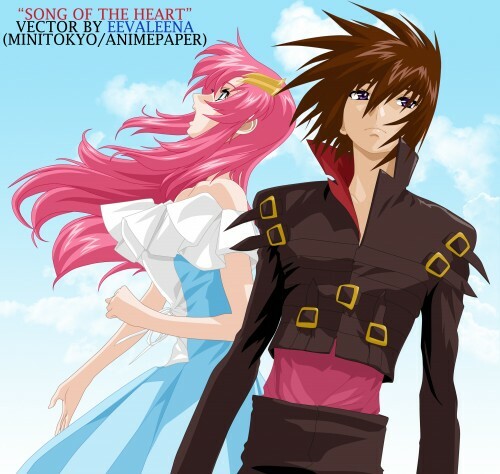 So, please bear with me until I finish all Lacus vector! 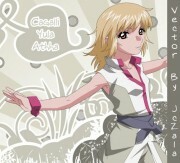 Actually, I vector Kira & Lacus separately. Which means, Lacus actually had a full version (that was covered by Kira). And I've been debating weather to post them together or not, and finally decided that they should be together. BUT! 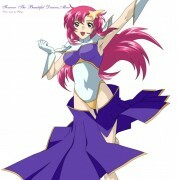 If you want Lacus full version, you can get it here at AnimePaper or you could PM me, and I'll send it to you. It's well done. Is there a Lacus scan left that you havent vectored? This truly is wonderful. :o I really love how the colors reflect better for a sunny day unlike the one from the scan. Very nice and clean vector. I love the thin line art. Great work!